Jadzia, after working as a dental assistant for 15 years, went back to school and graduated from Edison Community College in 2000 and has enjoyed working as a dental hygienist at Dr. Dai since 2002. She is committed to caring for our patient at the highest level possible. Her greatest reward is the long-term relationship she’s built with the patients over the years while helping them maintain optimal oral health. With over 30 years of experience in dentistry, Connie joined Dr. Dai in January 2014. 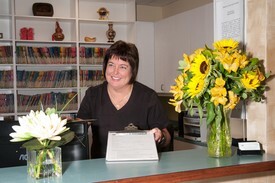 Her duties include surgical assisting and working front desk. Her favorite part of job is taking care of patients and providing a high standard of care. Strive in exceptional customer service. She has lived in Naples since 1985. She has two sisters, three nieces and two nephews in the Illinois area. She enjoys going to the beach, playing tennis and walking. She also enjoys watching the “Chicago Bears” during football season. She is active in the Amvets and American Legion Ladies Auxiliary. 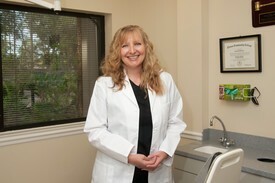 Betty has been working with Dr. Dai since 2003 with experience in both clinical and administrative. Betty oversees front desk activities, assists patients with dental insurance benefits, and ensures patients have a positive experience. In her free time, she enjoys spending time with her three cats, Jaxon, Jinxy and Freya.